... When Jesus makes judgements, he does so as a vulnerable one, as one exposed to the deathly powers of others. Rather than being prepared to destroy to assert his own power, Jesus is prepared to be destroyed, to give everything away in the cause of love and life. Jesus’ judgement has a very different quality from the judgement of John. Relinquishing the power to destroy others the judgement of Jesus is not concerned with death. When his judgement comes, it comes on the other side of death, death which he has overcome, and it carries the power of life in all its fullness. His judgement is to encourage us to become more fully human by improving our behaviour towards the least of the children of the world. What relevance has this to the way we live today? Well, I suggest that the Judgment of John is all around us. Violent retribution is the order of the day. Fire rains down on the people of Syria, on the people of Iraq, on the people of Palestine, in a world of eye-for-an-eye, tooth-for-a-tooth militarised politics. We have judged a people to be violent; so we will destroy them with fire. We have judged a people to be dangerous; so we will close our borders to them. We have judged the poor to be feckless, we have judged the refugees to be opportunistic scroungers, so we refuse to help them. Even at a domestic level, our popular entertainment is fixated on judgmentalism. Saturday night TV - on one channel, dancers, on another channel, singers, are judged by panels of powerful people and, at the push of a button by the general public, are rejected, ejected, sent into an outer darkness where no TV studio light shines. Just like John, vindictive judgmentalism is in our blood. Enjoyed this John. JTB seems to be a paradox, reigning fire and brimstone, then telling them to go home and share their possessions, not to cheat or extort money from others. Were Jesus' sermons written back into John's ministry or can these two images of John be reconciled? I rather like the line, 'be worthy of your repentance' as it calls people into dialogue with what is going on, rather than judgement being something far off at the end of time - if your come to be baptised - let it change your behaviour! 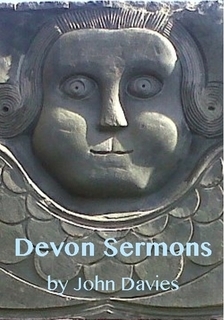 Devon Sermons: buy the book! 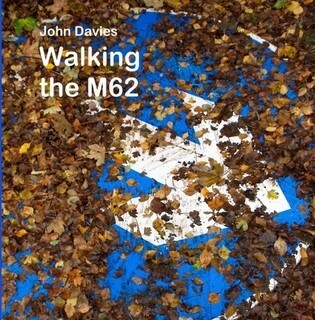 Walking the M62: buy the book!